Fr. Martin Martiny, O.P. (right) and Fr. Gregory Maria Pine, O.P., with University of Louisville Catholic students on a freshman retreat. 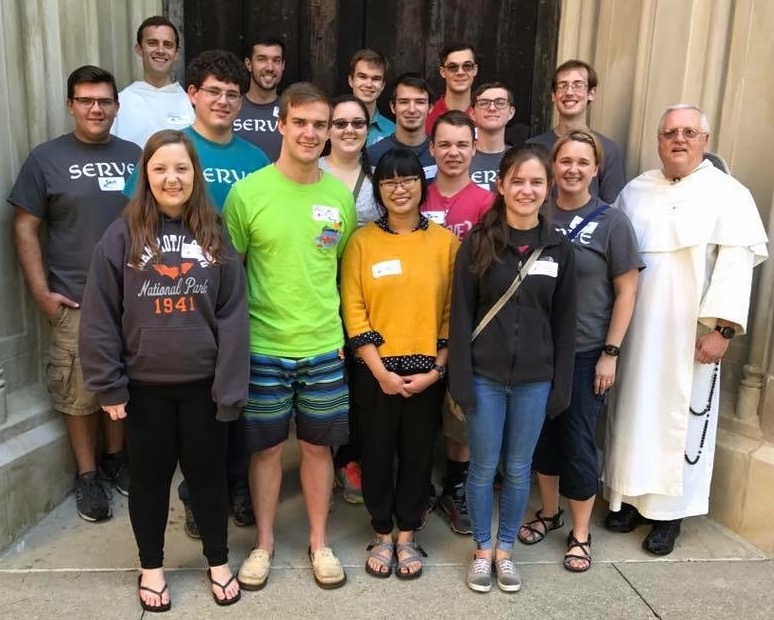 In the past year, the chaplaincy has organized volunteer excursions with Catholic Charities and Habitat for Humanity, a weekly theology course, lectures by a Vatican astronomer and other speakers, and a freshman retreat. Fr. Martiny offers daily Mass, adoration, and confessions on weekdays. The chaplaincy has been accepted by the Fellowship of Catholic University Students (FOCUS), who will send missionaries to the campus this summer. “These elements promise to strengthen the Dominican approach embodied in ‘Sow an act, reap a habit. Sow a habit, reap a character. Sow a character, reap a destiny,’” says Fr. Martiny.